3D technology loves dual video cards, but gaming laptop manufacturers tend to shy away from dropping a pair of NVIDIA mobile cards in their machines. Something about keeping down cost. As I've demonstrated in the past, Origin PC isn't a company that shies away from making a really expensive product, especially when it gets them a 'first' achievement. So yesterday they announced the EON17-X3D (they also do not shy away from confusing naming conventions), the world's first 3D gaming to double up in such a fashion. 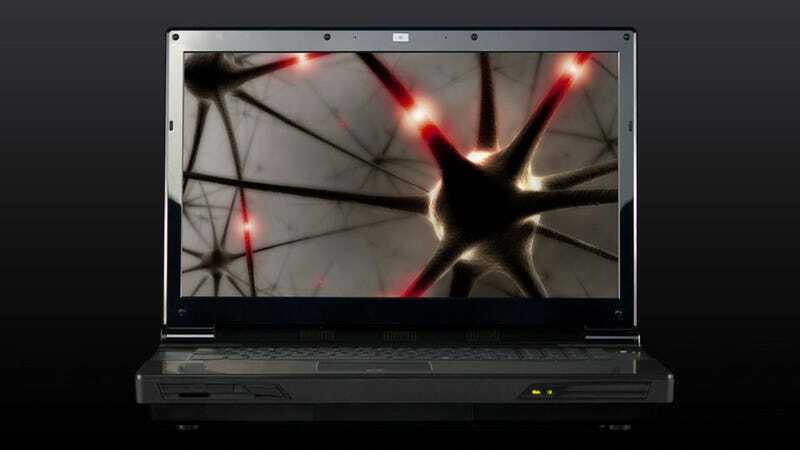 It's got dual overclocked NVIDIA GeForce GTX 580M graphics cards in SLI, which should mean smoother 3D performance than anything else in its class. "Origin PC continues to lead the industry by being the first to offer a 3D laptop with dual overclocked graphics cards in SLI." said Origin PC CEO and co-founder Kevin Wasielewski via official announcement. "The Origin EON17-X3D is the ultimate mobile 3D experience. Whether you are at home or on the road, you will forget where you are and become immersed in the world of 3D." Remember when 3D just meant graphics and not wearing funny goggles? Ah, those were the days. Here's a rundown of the system features. Pay particularly close attention to that last bullet point. It's an exciting machine, and the price shows it. Starting at $3,032, the configuration I cooked up at the Origin website clocked in at $8,220, and I skimped just a little. And painted it pink. Will they sell many of these? Probably not, and since they build their machines to order, that's no big loss. The point is they have it available, and they were pioneers. So there?